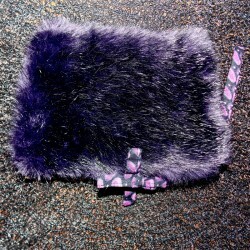 Beautiful makeup bag for a girly and original gift, or for your own pleasure. 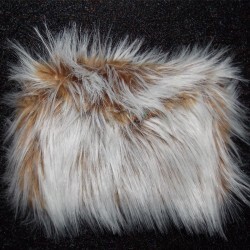 Become fond of this handmade faux fur makeup bag. A nice makeup is not possible without a nice makeup bag to be kept into. Super soft material with a fresh floral fabric lining. 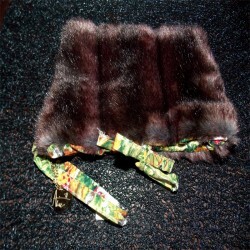 The faux fur fabric used is a great quality material made in France for a unique result to the touch and sight. Moreover, you can contact me for a special request of color or/and size. 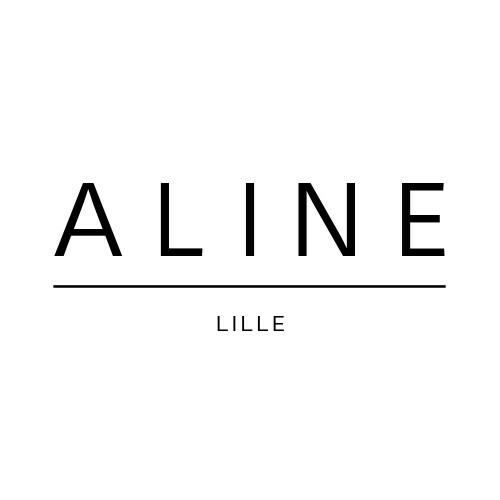 I will design a made to measure unique creation for you.